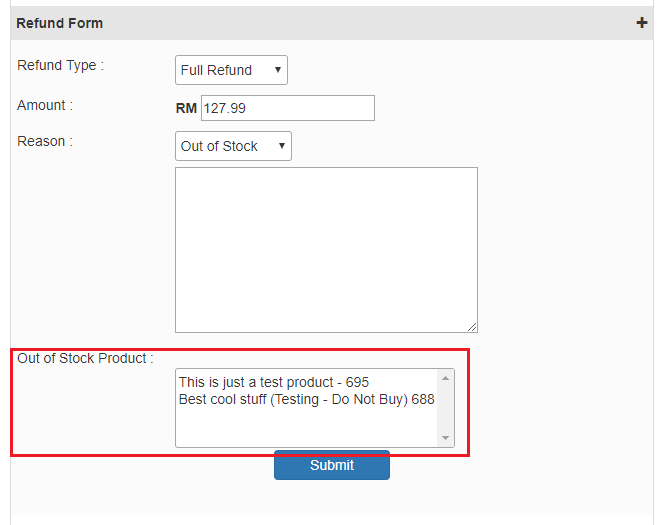 Now seller can refund buyer payment directly from Lelong account. 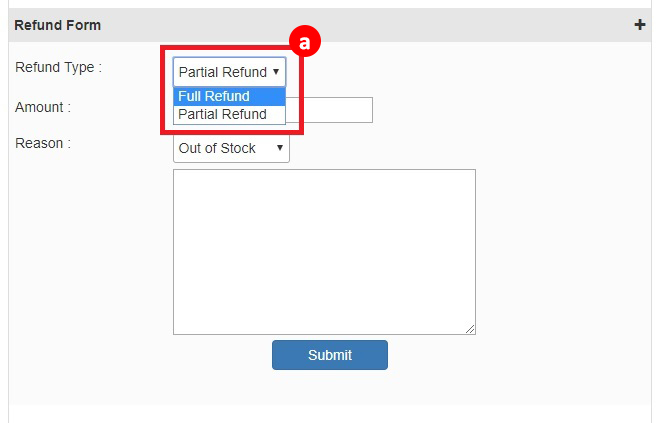 For the Refund Type, you can choose either “Full” Or “Partial”. This is subjected to NetPay’s approval. 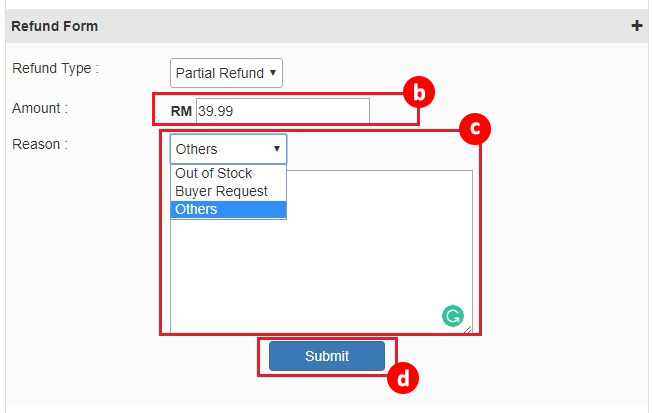 *Please choose ‘Full Refund’ if amount of refund is the same as amount paid by buyer. 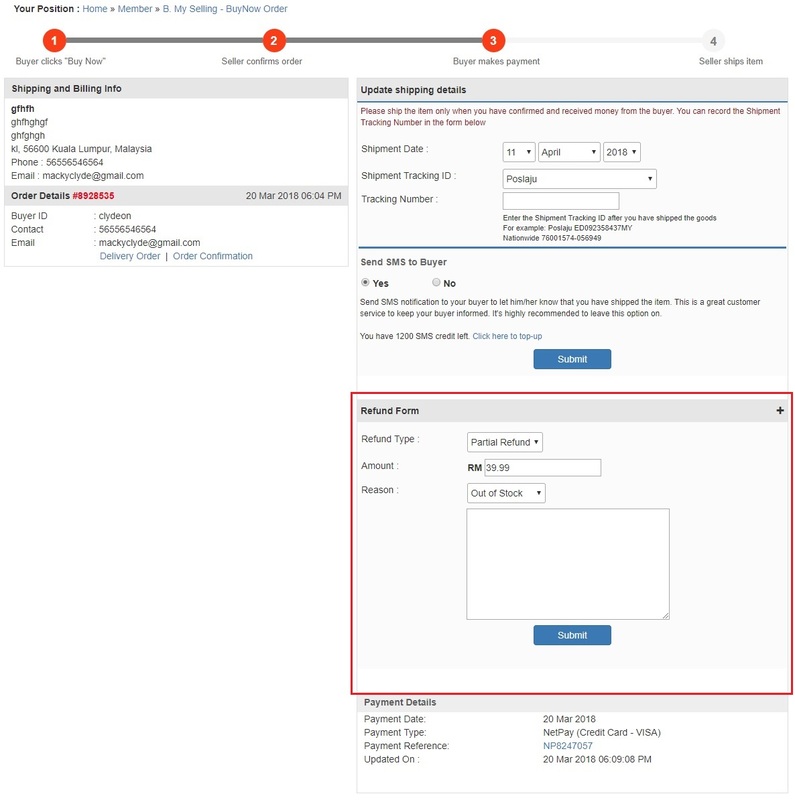 If the refund request because of “out of stock” and there are more than one products for that order, seller is required to choose which product that is out of stock. Seller will be able to update shipping information only if refund type is partial refund.